Imagine a crystal clear alpine lake surrounded by a crowning circle of Italian and Swiss alps, its shore ringed by romantic villages. 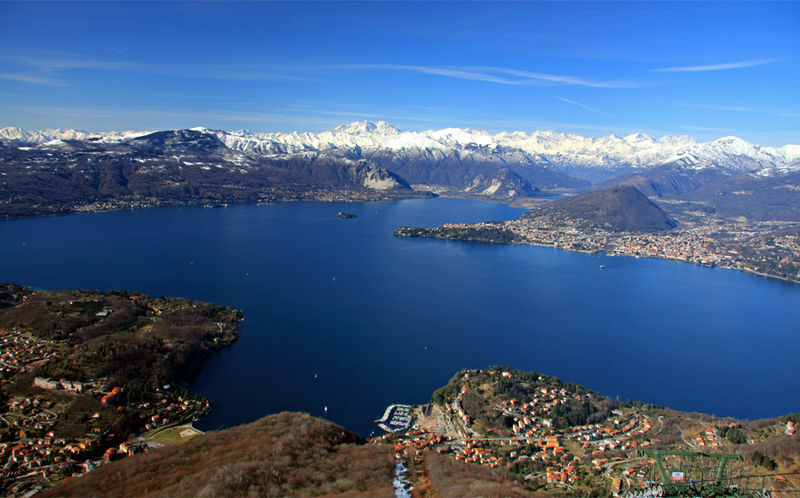 Lago Maggiore, easily reached from Milan, is in the heart of Italy’s Lake Region. Very close to the lake’s western shore are three small islands: Isola Bella, Isola Superiore dei Pescatori and Isola Madre. It was in 1632 that Carlos III of the House of Borromeo began to build a villa dedicated to his wife, Isabella D’Adda. The island, originally named l’isola inferiore or isola di sotto, is named in Isabella’s honor. The completion of the villa and gardens suffered through the onsets of Plague, political power plays and other vagaries of the day. It was not until the latter part of the 18th Century, under Giberto V. Borromeo, that the villa and its gorgeous gardens were finally completed. The gardens and villa were designed w by the Milanese architect Angelo Crivelli. In 2008 the gardens reopened after detailed three year restoration and the results show. From the upper level garden terrace with its multi-storied grotto to the views of the lake and villages from the lower steps of the south garden, this is one of the finest and most beautiful gardens in Italy. 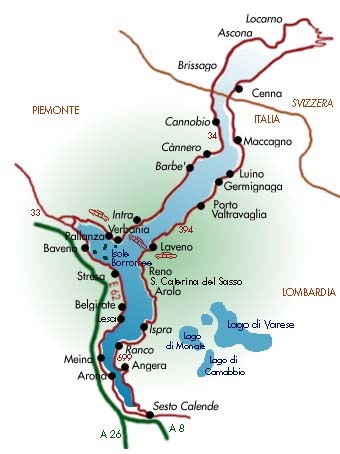 The Lake Region itself attracts visitors from all over Europe. The area is surprisingly free of the tourists hoards who descend upon Venice, Florence, Rome and other large Italian cities. Access to the islands is very easy (see below) and you can visit the Borromeo Islands in one day. If you are in Milan, trains run on a regular basis, about every hour, from Milano Centrale Station to Stresa (Recommended starting point for your visit to the islands). I recommend using the faster/cleaner Eurocity fast trains that leave Milano several times a day. These stop at very few town north of Milan and make the journey far more comfortable and faster than are the regional trains. Travel time between Milan and Stresa on the Eurocity trains from Milan is about an hour. Note that the regional trains are, indeed, less expensive-but slower! On arrival in Stresa, you can either take a taxi or walk to the ferry building. By taxi, six minutes, by foot fifteen minutes-and it is all downhill from the station to the ferry building. 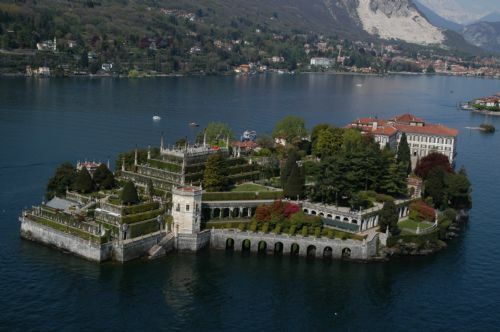 Isola Bella Villa and Gardens: The villa and gardens are open from March 24, 2012 – October 21, 9:30AM – 5:00PM. Tickets for both the Villa and gardens are Euro 13.00 for adults, Euro 5.50 for children between the ages of 6 and 15. Children under 6 years of age enter at no charge. Watch for future posts with details. My recommendation is to use the town of Stresa for all your explorations of the Lake Region, with the exception of Lake Garda. More to come!